Head out on to the battlefield prepared for anything. 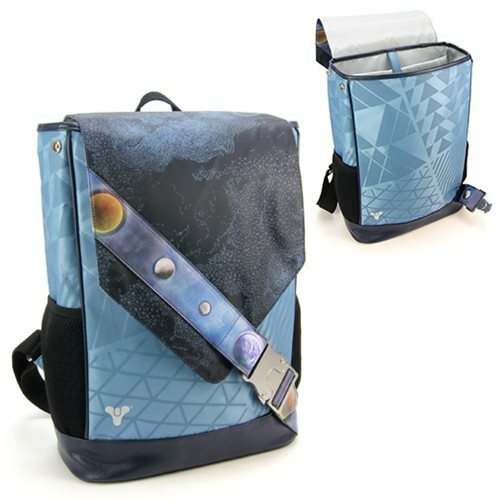 This Destiny Starmap Guardian Backpack has a nylon body with an oversized Destiny Guardian Crest emblem print. Secure your stuff inside by fastening the oversized buckle on the Starmap patterned strap. There's an embroidered Guardian Crest Emblem on the side of the backpack and a padded laptop sleeves fits most 15-inch laptops. The bag measures approximately 16 1/2-inches tall x 13-inches wide x 5-inches long.